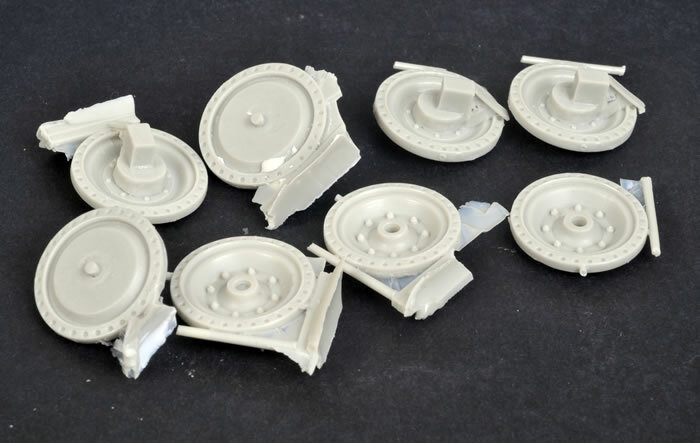 Media and Contents: More than 200 parts in grey resin; turned metal barrels for the QF 2 pdr main gun and the co-axial Besa machine gun, and instructions on disk. The Covenanter, more formally known as the “Tank, Cruiser, Mk V, Covenanter (A13 Mk III)”, filled the British War Office’s requirement of an inexpensive and lightweight Cruiser tank armed with a 2 pdr anti-tank gun and with 30mm armour. The specification was issued in early 1939, and the type was urgently ordered into production even before the first two prototypes were complete. Despite the re-use of the A13 designation, this new tank had nothing in common with the previous A13s apart from its Christie suspension. The Covenanter’s design stipulated the installation of a horizontally opposed 12-cylinder engine, but this left no room in the rear engine compartment for radiators. These were therefore fitted to the upper front hull, resulting in the instantly recognisable appearance of the Covenanter. This peculiar arrangement led to many complications mechanical problems, including overheating of the engine and the fighting compartment. Although welded armour was originally planned for the Covenanter, the production version reverted to riveted armour. This meant that thickness had to be increased to 40mm in the most vulnerable areas, resulting in increased weight and strain on the already stressed Christie suspension. All of these problems persisted even after redesign, meaning that the Covenanter could not be sent to North Africa where tanks were desperately needed. In fact, apart from a handful of machines sent overseas for trials, the Covenanter was never deployed beyond the shores of Great Britain. Instead, the Covenanter was destined to equip newly formed British and Polish armoured units during their training phase in the United Kingdom. These UK-based units were refitted with other British or American tanks when they were deployed operationally. Despite its chronic ongoing mechanical problems and design shortcomings, more than 1,700 Covenanters were eventually manufactured. By 1943, the Covenanter was declared obsolete and all remaining examples were ordered to be scrapped. 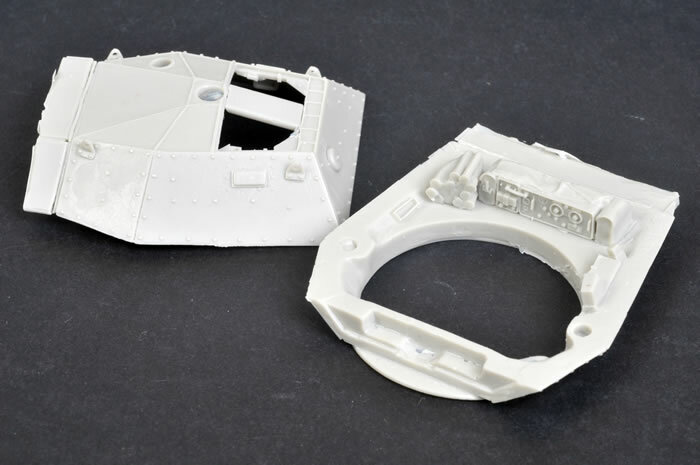 Inside the Armour is a relatively new model company that has been clearly focused on conversions, update sets and accessories for WWII British tanks. 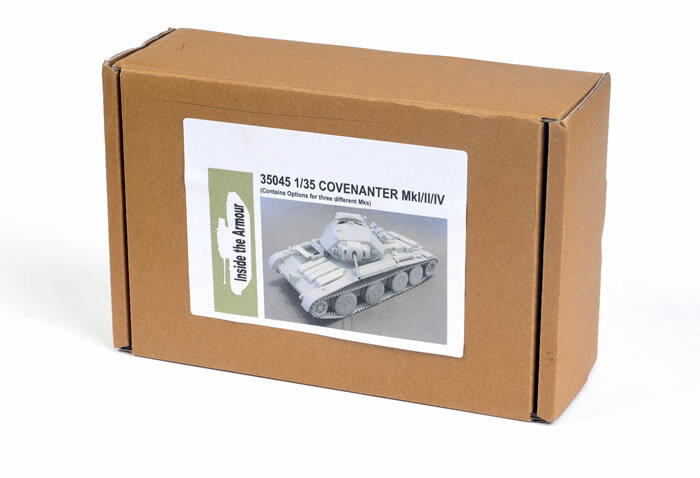 Their latest release is by far their most ambitious yet, and their first full vehicle – a 1:35 scale Covenanter Mk.I/II/IV, upgraded from the former Cromwell Models release. 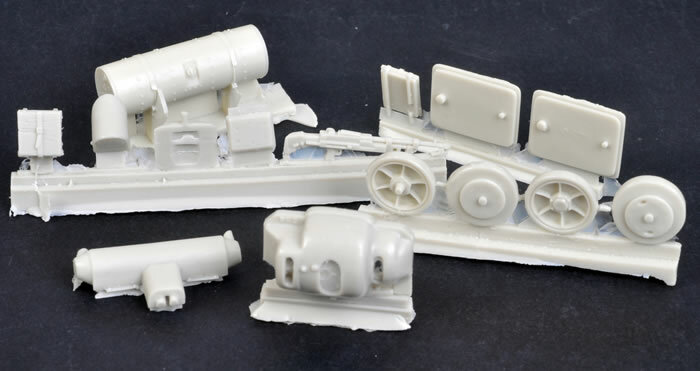 Inside the Armour’s 1:35 scale Covenanter comprises more than 200 parts in pale grey resin, turned metal barrels for the QF 2 pdr main gun and the co-axial Besa machine gun, and instructions on disk. 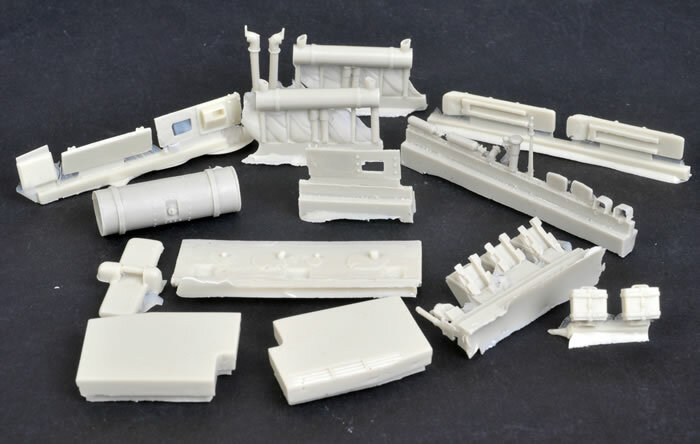 This is, in fact, an authorised upgraded version of the resin kit previously released by Cromwell models. Inside the Armour lives up to its name by providing a partial interior including the turret basket and spare ammunition stowage. The driver’s compartment and turret will look suitably busy through open hatches straight from the box. The hull is presented as a single large casting with a separate floor. Rivet detail (both on the hull and elsewhere) is even and impressive. Any of the smaller raised details are cast onto the turret and hull, reducing the number of parts required. The turret comes split into upper and lower halves, with some of the interior detail already cast into place. 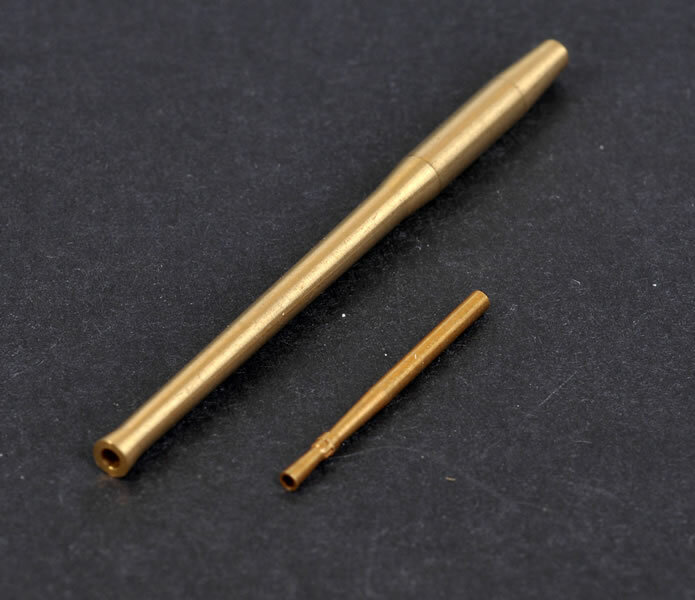 Two large locating pins will ensure correct alignment and positive fit. 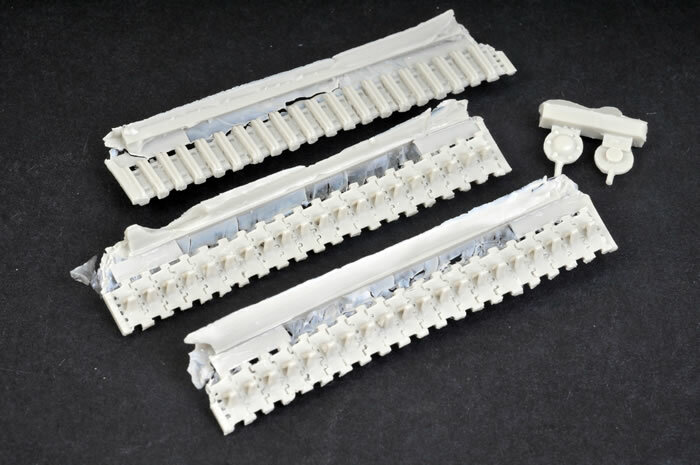 The tracks are supplied as resin lengths. Individual links are provided for wrapping around the drive sprockets and idler wheels. The turned metal gun barrels are lovely, and will look great in the resin mantlet. 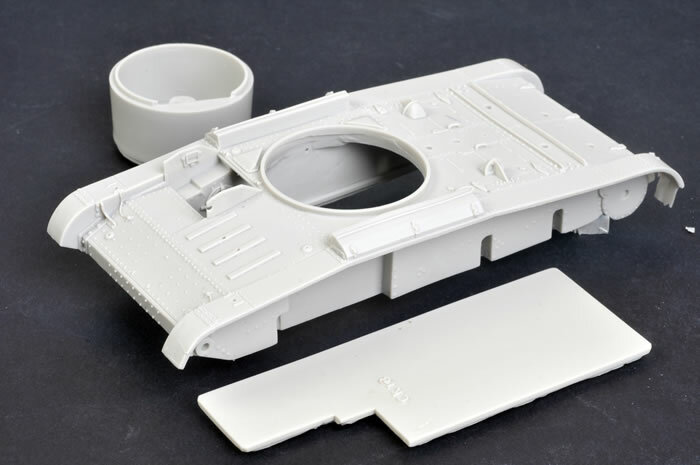 Enough alternative parts are included to build a Mk.I, a Mk.II or a Mk.IV Covenanter. The instructions clearly state which parts are for what variant. There are no decals or camouflage guides provided though. Inside the Armour’s 1:35 scale Covenanter is an impressive model that fills an important gap in the lineup of British tanks. I can’t wait to start building mine!